Lagan Valley MLA Trevor Lunn has hit back at criticism directed at him by DUP Cllr Luke Poots over his stance on the Jordan’s Mill car park issue. Following the closure of the popular Antrim Street car park earlier this month, Cllr Poots, the chairman of the council’s Planning Committee, said he was “disappointed” that Mr Lunn had previously spoken against an application to keep it open. But defending the position he took during the long-running planning dispute regarding the site, Mr Lunn stressed that there is already “more than adequate parking provision” in Lisburn city centre. 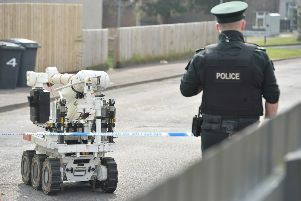 “This facility has never had open ended planning permission and Lisburn Council has taken enforcement action through the courts to have it closed in the past,” he said. “Planning Service have consistently opposed it and the Planning Appeals Commission has agreed. TransportNI, previously Roads Service, have also opposed its continued operation.